It has been a very exciting, productive, fun, and exhausting last three weeks! I knew there would be a lot of work with cramming a four month semester college class into three weeks but I had no idea I would end up with so much to take home! 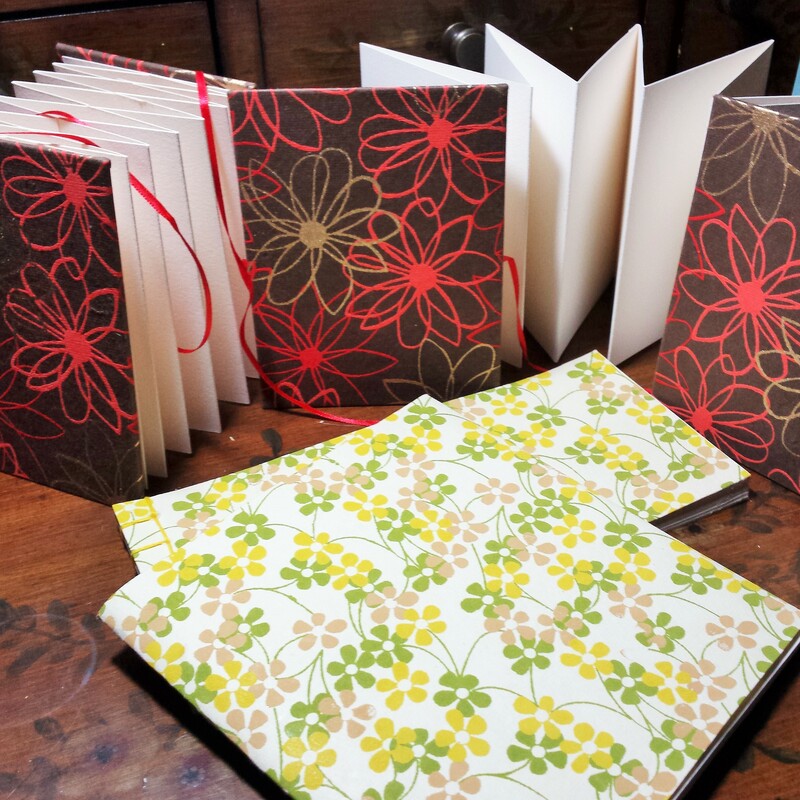 I learned seven different ways to bind books as well as many of the other technical aspects such as sewing pages (groups of which are called signatures) together, gluing papers and cutting boards to perfect sizes, and so much more! But despite the knowledge overload (and maybe because of it) this class was absolutely fantastic! Of course, all these blank books were only the beginning. 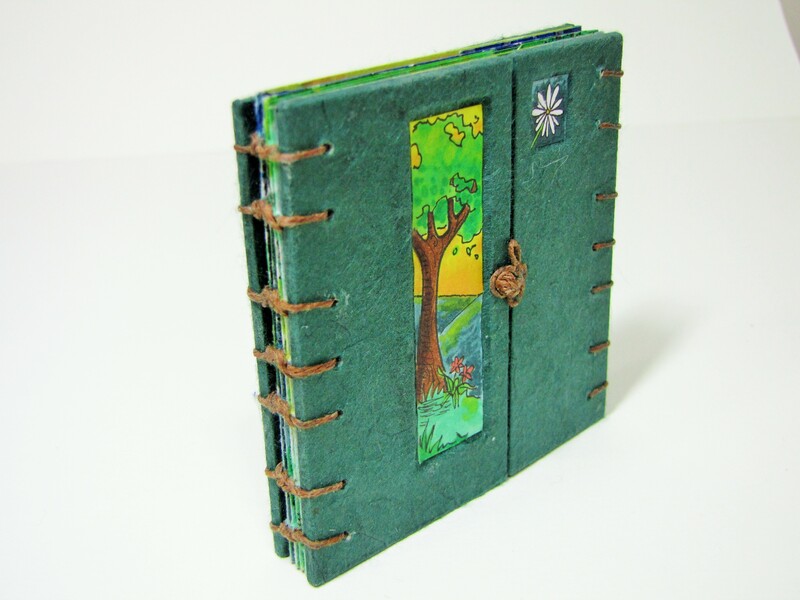 Next we had to make a book that was specific to its content, making a cohesive whole artist book. 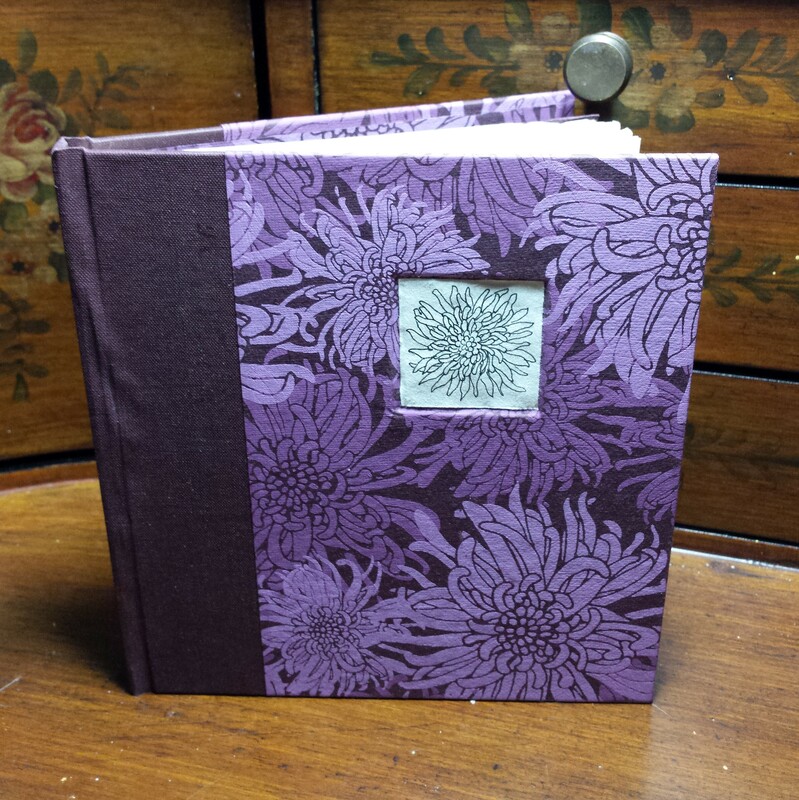 For me, this was fantastic because it gave me the opportunity to make a mini-comic complete with cover and fancy coptic sewn binding. If you want to see the rest of Forest River Song and learn a little more about what went into making it, check the project out in my portfolio! 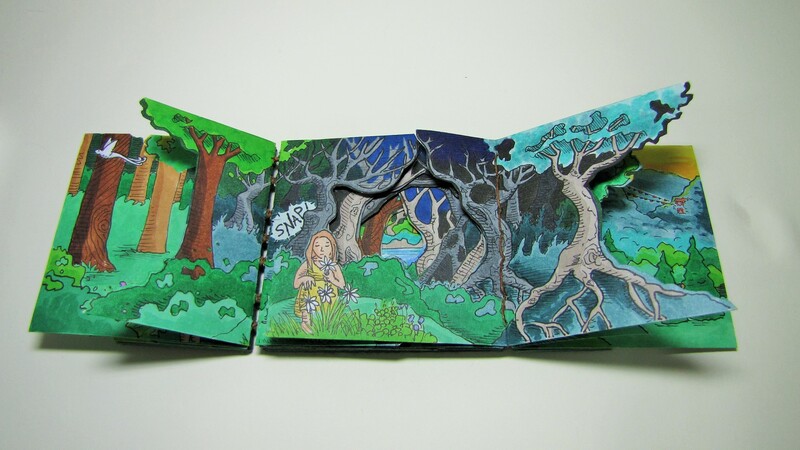 Then for our final project we got to make a box/book. 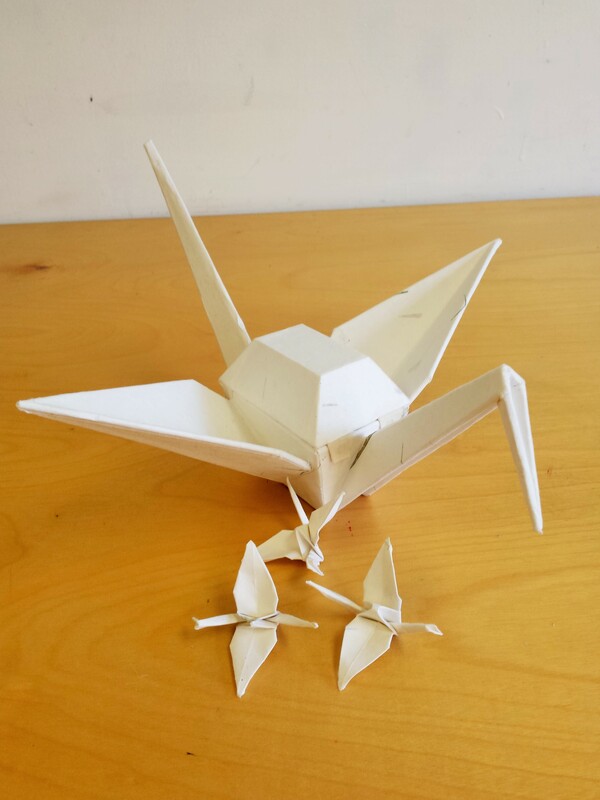 I chose to make a paper crane filled with little origami cranes. It was a huge technical challenge. There was so much measuring and remeasuring involved that at one point I was not positive I would have a finished piece by Friday morning’s critique! But happily I persevered and ended up with something I’m pleased with. 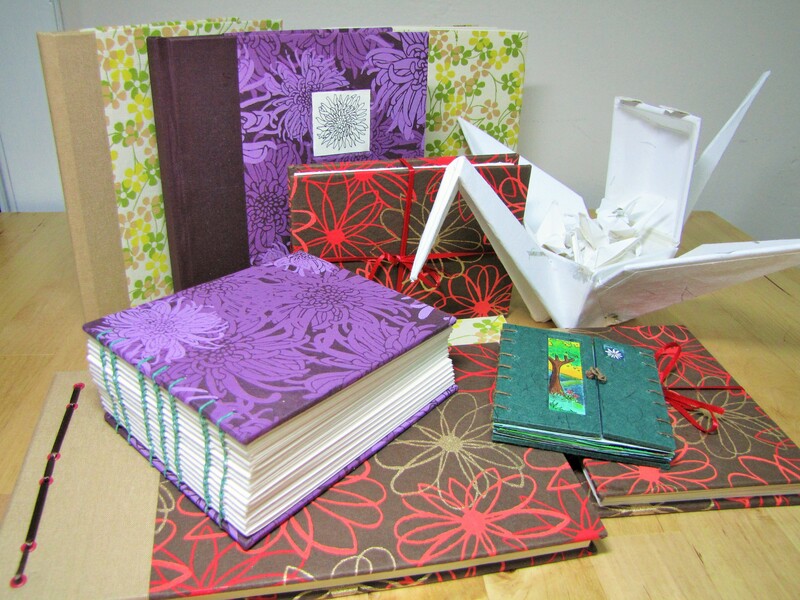 Check out more about the Paper Crane Box here. 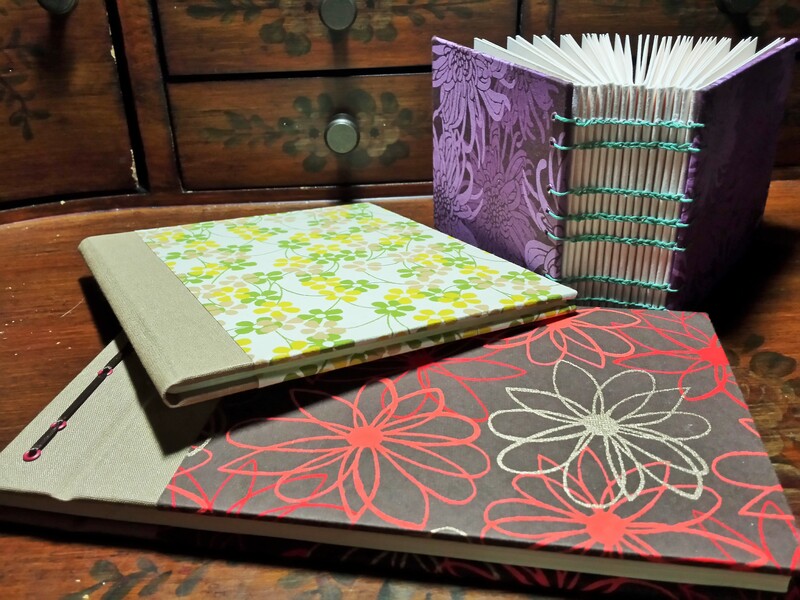 I am definitely going to be making more journals and artist books. 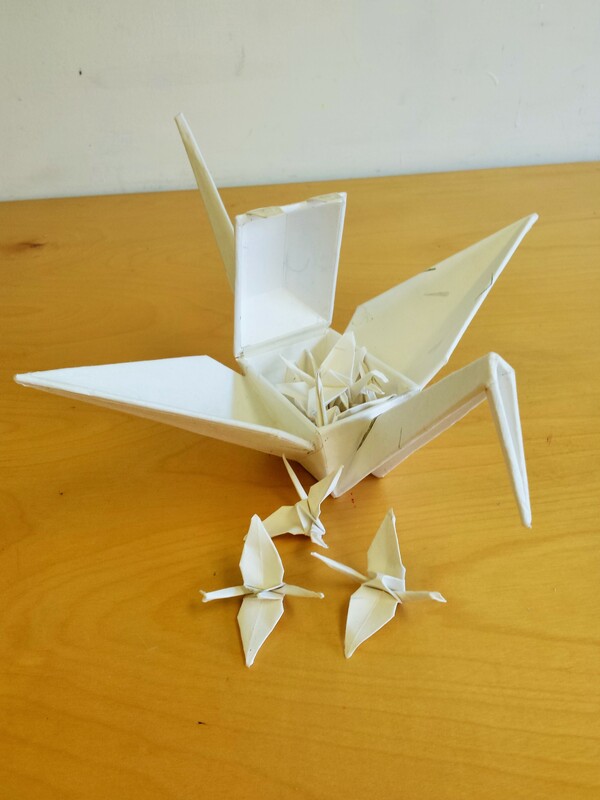 And I am toying with the idea of making a metal paper crane box, which would have it’s own set of challenges! What an inspiring and insightful class! And now I can be secure in the knowledge that I won’t be running out of sketchbooks anytime soon!